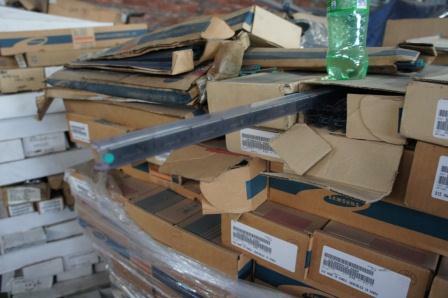 Several months ago I had the opportunity to travel to the notorious southern Chinese e-waste recycling hub of Guiyu. It was an interesting visit during which it became apparent that many assumptions currently held about e-waste processing in China are no longer current. 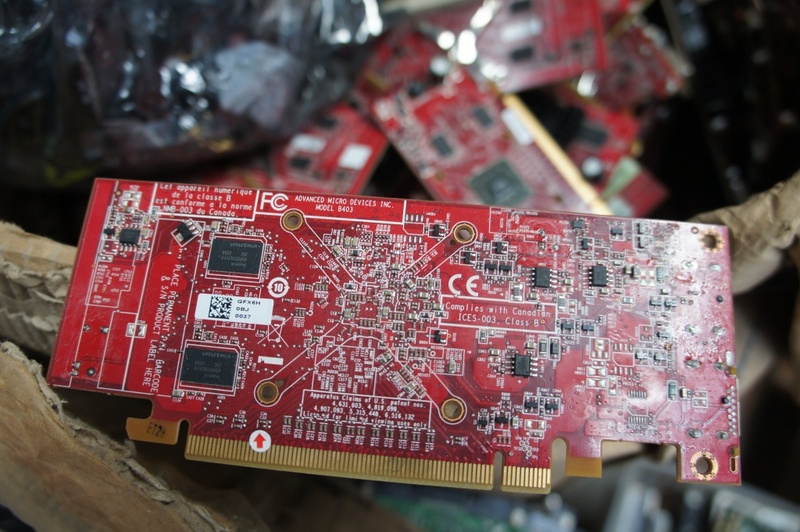 Of these, perhaps the most important is the blanket assumption that foreign e-waste is the primary cause and driver of Guiyu’s – and China’s – continued role as a global e-waste hub. By and large, that’s no longer the case. Reporting that I did in Guiyu, and elsewhere, indicates that fully half of the e-waste currently being processed in China is generated in China. 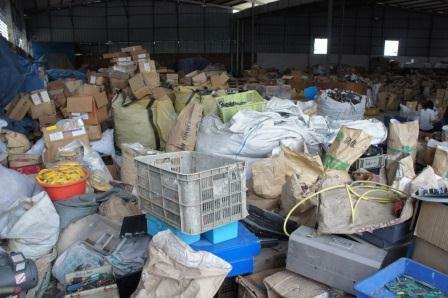 American and European e-wastes, meanwhile, are a declining percentage of the overall level of waste being processed in the area, while Southeast Asian e-waste – specifically from Thailand and Malaysia – becoming the fastest growing contributor. More interesting, still, was evidence that Guiyu is no longer just a destination for old household and commercial computers no longer wanted by their owners. 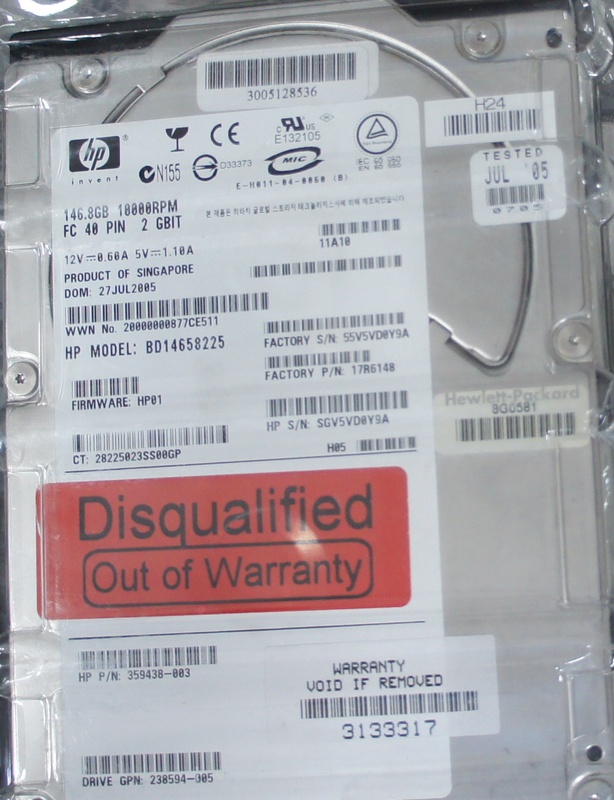 Rather, it is a destination for unwanted parts and defective materials used in the manufacture of new computers and other electronic equipment, as well as materials returned to manufacturers for warranty repair. 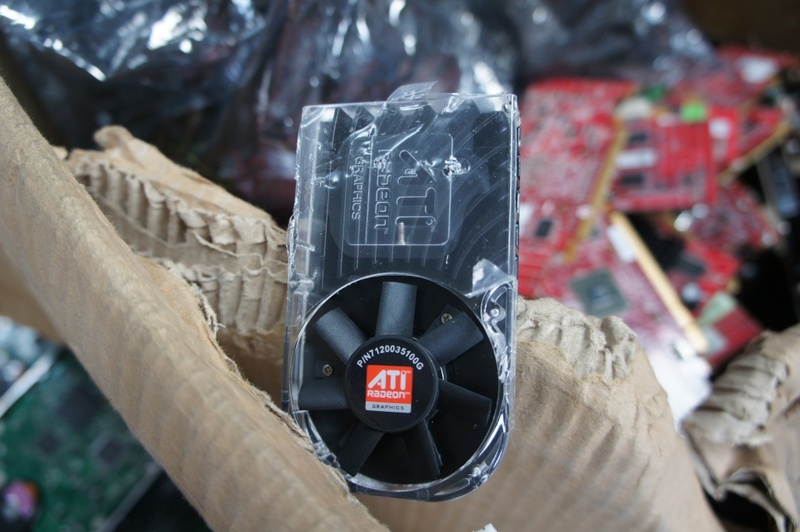 In one storage warehouse, along, I found boxes of unusued and perhaps defective computer parts marked with the brands of Panasonic, Advanced Micro Devices, ATI Radeon, Samsung, and HP. 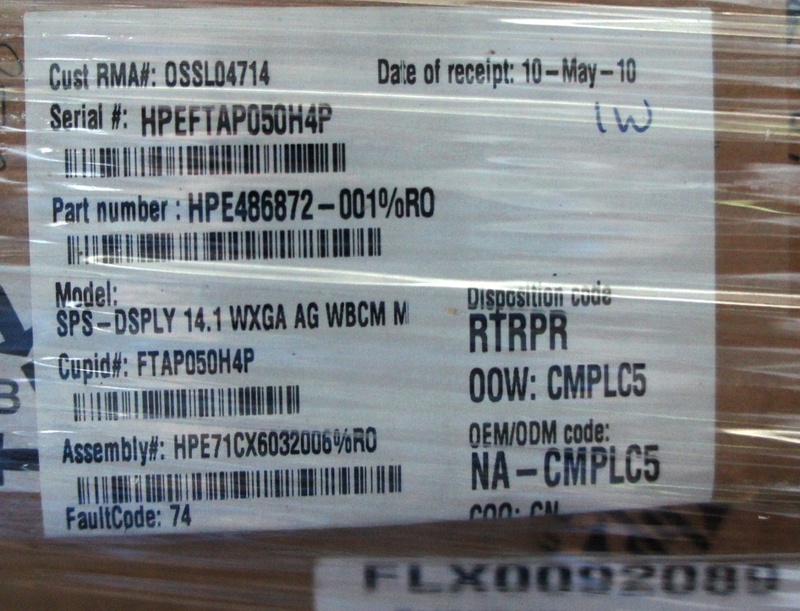 In the latter two cases – HP and Samsung – I was able to obtain photos of bar codes attached to waste components (in the case of the former) and boxes of components (in the case of the latter). Below, a photo of the warehouse in question. It’s worth noting that the two links included in Watts’ email detail HP’s commitment to preventing the flow of e-waste to the developing world. In any case, I have had no further communication with HP. I think that’s a reasonably cautious approach to this very ambiguous matter. 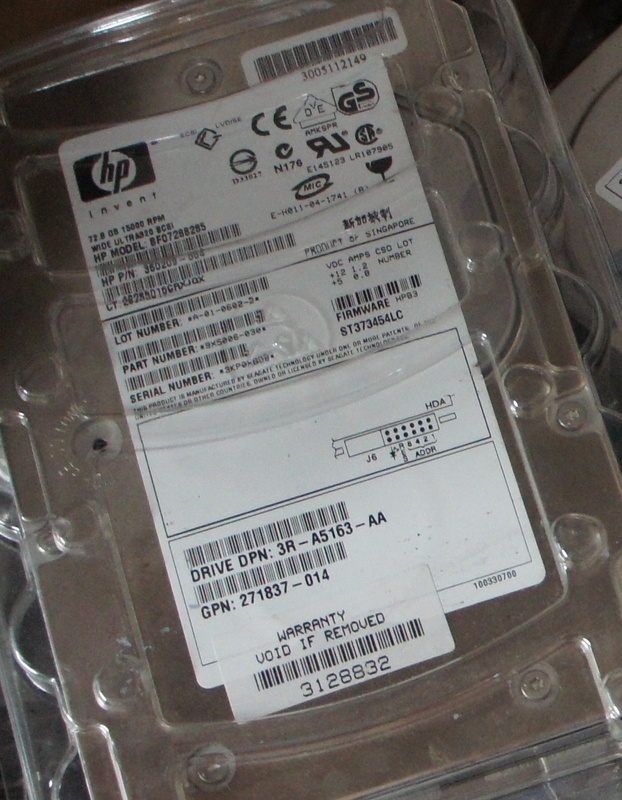 So, below, readers will find images of HP and Samsung-branded waste electronics that I took in Guiyu – including images of bar codes and serial numbers. 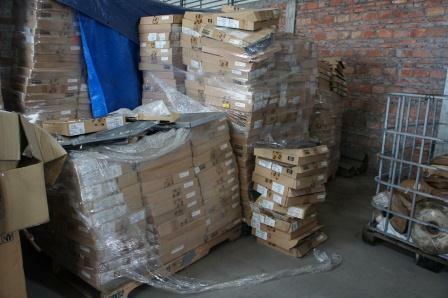 If you are an employee of Samsung, HP, or a recycling company that may have handled that material, and you have information on how it may have ended up in Guiyu, I would like to hear from you. All communications will be treated confidentially unless you specifically authorize me in writing to release your name. I can be reached through this contact form. If Samsung or HP would like to comment further on this matter, and these images, they know how to reach me. I’d be happy to publish updated information on this blog, and in my book. Reporters and NGOs who might choose to follow-up on these images on their own are requested to cite them as obtained from “Adam Minter, author of the Shanghai Scrap blog.” For further inquiries of HP, you should contact Shelby Watts at shelby.watts@hp.com. She can be reached by phone in the United States at 650 862 6181. For Samsung, you should contact Jason Kim of the Global Communications Group at jaeyun79.kim@samsung.com. He can be reached by phone at 82-2-2255-8276. For reasons that escape me, Samsung uses the Edelman PR firm in the US to facilitate (ie, complicate) its communications with reporters. They are nothing if not unhelpful, but if you have time to kill, you should reach out to Adam Yates at his Samsung address, a.yates@samsung.com. So let’s get to the images. 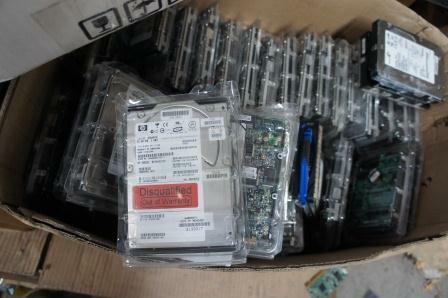 A box of hard drives. A high-res blow-up of the drive at the center of this photo – complete with bar codes – can be accessed, here. A high-res scan of the drive at the left of the box, available here. A high-res crop of one a bar code located on one of the boxes, here. A high-res crop of an image in which a serial number is clearly readable, here. 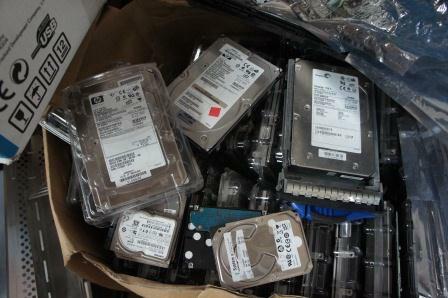 Finally, I was not able to obtain serial numbers of bar codes for material branded as Panasonic, ATI Raden, and AMD. However, an example of the AMD material may be found here; an example of the ATI material may be found here. 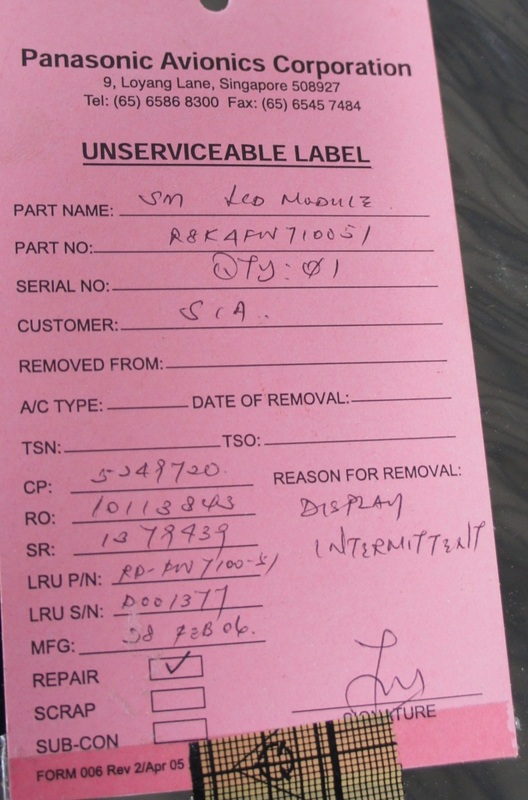 As for Panasonic – I was unable to obtain bar codes or serial numbers. 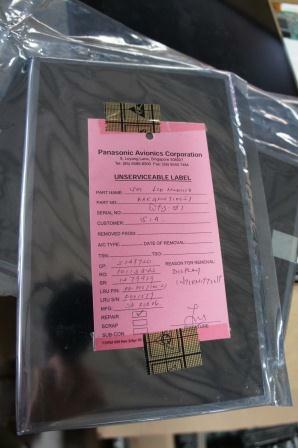 However, I did manage to obtain a hand-written service tag labeled “Panasonic Avionics Corporation” in Singapore. Calls to that facility, and Panasonic headquarters, have not been returned. The item in question was a monitor, as show below. An enlargement of the service record is available here. I want to emphasize that my interest in this material is for my book, and developing an understanding of just how waste/scrap materials move around the globe. My instincts – based upon other reporting – suggest to me that this material was all sourced out of Southeast Asia, and was likely sourced by the same broker. Did the various companies in question know that they were selling their material to somebody who would send it to Guiyu? That’s a question I’d very much like answered – though I don’t expect that I will succeed in getting one. Still, any help – and again, confidentiality guaranteed! – will be very much appreciated. This entry was posted in Computing, Et Cetera, Scrap by Adam. Bookmark the permalink.